According to new data from maritime charities, the issue of seafarer suicide is becoming ever more important at sea. In fact, there is evidence that mariners taking their own lives is the number one killer at sea. Life onboard a ship is full of risk, perils and hardships. It has always been this way – there is no easy way to work out at sea. Even at the most basic level, there is heavy machinery and the ever-present threat posed by the elements. Ships and the sea are dangerous. More than that though, there are the added pressures which being a seafarer can bring. There is the risk of being or feeling far removed from civilisation, and the emotional support of our loved ones. This physical and emotional distance can cause serious problems. Then too, is the fact that seafarers cannot necessarily access the medical care they need. Yes, if there is an injury the Ship Captain’s Medical Guide will provide the guidance to make sure slings and plasters are applied. Sometimes though, injuries cannot be seen – they sit deep within the person. That is where seafarers are seemingly most at risk. The potential risks posed in moments of high stress and anxiety should not be underestimated, and never ignored. So, we can see all these factors compound to make suicide a very real danger to seafarers. According to a study by the World Health Organization (WHO), seafarers are the second most at-risk profession worldwide when it comes to suicide. While another study, by the UK P&I Club states that suicide is the cause of 15% of deaths at sea. The 15% figure means that suicide is now the number one killer of seafarers! Amazing as it may seem in such a dangerous work place, it is seafarers who pose the greatest risk to their own lives. This is both frightening and depressing, and needs urgent attention. Such startling research results place the spotlight on seafarer mental health. According to the UK Club, seafarers often suffer because of young age, isolation and the impact of social media. There are constant reports of younger crew onboard who simply cannot handle the pressures, the isolation, the loneliness and the pressures of life at sea. 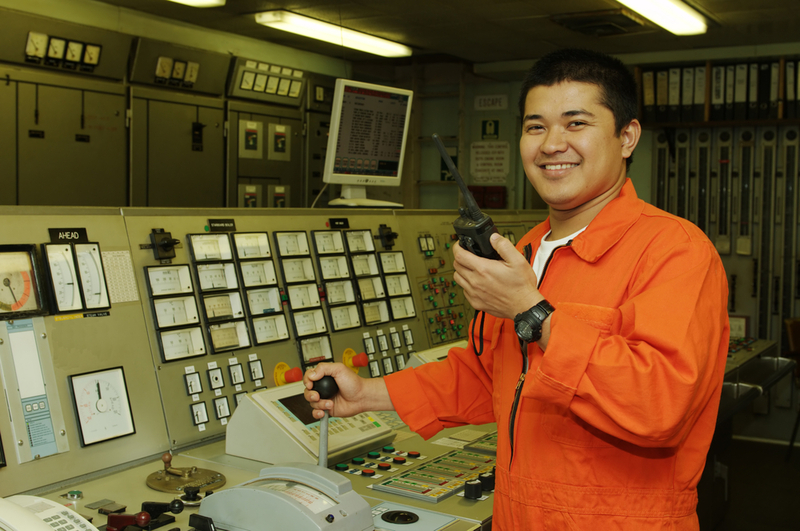 Young seafarers such as cadets are seen as particularly at risk. The UK Club figures on cadet mortality are “horrifying”. Some 40% of 11 deaths of cadets over the last 10 years came as the result of suicide. So, what is causing the problems? The recent studies show that in terms of the causes of depression among seafarers it is felt that social media, work stress, and hours of work and rest are the biggest contributory factors. In the terms of social media, whereas in the past seafarers had very little contact with home, now were aware of all the problems happening at home. There are some who think perhaps in the past ignorance was bliss – and being disconnected from home was the answer. That may be true, but surely it seems ridiculous to blame the connection with home, with friends and allowing seafarers to engage with home as being the catalyst which makes them take their own lives. That seems counter intuitive, especially as historical data on seafarer suicide reached a peak in the 1960s…long before Facebook! Instead, it seems like we are simply not preparing seafarers properly and giving them the emotional tools to deal with the contact from afar. Plus, being stressed from hard work and tired, that is a recipe for disaster. So perhaps it is not the social media which is to blame, but the fact seafarers are struggling emotionally already – so any negatives online can tip them over the edge. One of the problems in studying suicide among seafarers has always been finding reliable statistics. After all, one missing person overboard could be an accident, or could be intentional – and who can say? There is a major element of uncertainty regarding the number of crew who have disappeared at sea, and under what circumstances this has tended to happen. How many of them are suicide? So, the figures may be even more startlingly bad – but we have to deal with the data that is placed before us. Even that is terrible, and strongly suggests the mental health of seafarers continues to be very poor and often fatal. The level of seafarer suicides has been deemed a “disgrace”, and there are calls for the entire industry to help fix the problem. But how? Historically, seafarers coped with stress and anxiety by self-medicating – and this often-involved alcoholism and drug use. Not a great answer to a problem, but it seemingly worked for some. Surely though, we need better solutions than drowning sorrows in drugs and booze? There is a lot of discussion about how to prevent these unfortunate and unnecessary deaths. The industry dinosaurs persist in claiming that increased access to communications – things like email and Skype – have contributed to the high suicide rates. They claim such connectivity makes people miss their family and friends more acutely and can bring in unwanted stresses from home-life on board. Thankfully others call that view out, and believe the opposite to be true. Seeing that improved and increased access to communications with home can only benefit those on board. In fact, technology in general (and social media, in particular) has been used increasingly to detect and head-off signs of depression and suicide. According to the free, 24/7 helpline, SeafarerHelp, the ability to talk and communicate with people who care is hugely important and significant. The organisation now relies heavily on Facebook and even WhatsApp to allow users to access the counselling they need. There is a clear need for everybody connected with the international maritime shipping industry to do something about this issue. The mental health of seafarers and the economic health of the shipping industry will be improved as a result. It is simply not right that those who go to sea do so feeling isolated, alone, stressed, tired and concerned. They deserve better…much, much better. Maritime charities are on the front line of the efforts to assist, the Sailors Society, Mission to Seafarers and ISWAN are all pressing hard for action. It contains skills, exercises and coping strategies to help seafarers deal with their emotions when they are experiencing stress or feeling low, including examples of positive coping statements and guidance on using mindfulness to deal with stressful situations. The English version can be accessed here, http://www.seafarerhelp.org/assets/downloads/Steps-to-Positive-Mental-Health.pdf download it today, it may just save your life, or someone else’s.